If faeries were water dwellers they would all be Pisces. Add the emotional openness of a child to the Pisces’ profound psychic abilities and this little Star Sign inherently becomes a walker between two worlds – gliding in between the material plane and the all-that-is beyond The Veil. Because in the world of spirit there is no suffering, The Fish seeks the safety of its hidden alcoves and stows away there as much as they can. When they can be coaxed back into this reality, Pisces brings the ideas for inventions and great works of art as were whispered to them by The Universe during their trip to the other side. Pisces, in general, are extremely sensitive – but children even more so. The tiniest changes in their environment impact them in huge ways. They’re very caring and concerned, and will always be watching out for other people (or animals) that they see as vulnerable. What your little Piscean doesn’t realize is that he or she is part of that group. This child will put a bandage on the stuffed teddy bear before worrying over the cut on their own knee. The Piscean soul wants to please, which makes your parenting job a little easier. Yelling isn’t necessary with these children. When they do something wrong, let them know how to “fix it” and give them the supports necessary to do so. After learning of their error, the Pisces child may put themselves in a time out, which is their way of processing. Eventually they’ll emerge and do the right thing, looking to you for that much wanted smile of approval. Piscean offspring sometimes become loners out of necessity. The intensity of their emotions can lead to sensory overload. Other children may think that your little one thinks themselves “too good” to hang out. This child struggles with self-worth, but also knows that the stage of life has curtains for a reason. Just don’t let them hide behind that safety net too much at home or they could have trouble building strong bonds later in life. Your Pisces child is wise beyond his or her years, and may well be an old soul. You may hear this sagacity in a story they create, or see it in a painted image. This is one way that Pisces children communicate ideas and visions, even if they may not recognize them fully yet. And don’t be surprised to discover your child having very long talks with imaginary friends that may NOT be so imagined. This zodiac star sign has a very high propensity for psychic aptitudes. What may prove difficult for you is that little Pisces has a rich imagination. It takes an astute parental eye to know what is real, what is “possible” and what is completely fabricated. That fanciful element in Pisces often leads them toward arts that allow them to immerse themselves in another world – such as reading fantasy books or watching/acting in plays. Join them in those realms – it proves delightful for everyone. On the home front the best gift you can give the Pisces child is an abiding sense of love, peace and nurturing. They tend to give generously to others – it’s your job to refill that well. It’s a good idea to help them create boundaries, especially with people who would use their kindness thoughtlessly. When you accomplish this, you’re setting your Piscean on a path of self-reliance where they can endure much more than anyone anticipates. The female Pisces child is part elf and part Hippy. Her spirit may well have been playing in Neverland before returning to the Earth Realm (or some equally whimsical reality). As a baby she is cute as a button, but over time often learns how to use those proverbial baby blues to get what she most wants. Effectively, she wins you over with abundant charm and sweetness. Keeping your little one entertained is very easy thanks to her rich imagination. You know the children who like the empty box more than the gift? That is frequently true of Pisces. She’ll turn that box into a space ship, a castle, or a jungle without having to use much more than a few props (if that). Make believe is definitely among this girl’s favorite pastimes as is dress up. And don’t think she’s going to get all girly all the time. There’s a tom boy inside most Pisces girls that wants to climb the tree so she can envision her next tree-house! As she grows, pay close attention to your daughter’s dreams. Many Pisces have prognosticative dreams, some of which may frighten her. This is not about the monster in the closet Mom and Dad (although you probably have one of those too), it’s about her innate ability to tap into the ebb and flow of life’s tapestry. This advice holds true with things that she states with certainty. For example, she may walk in a room and say to visiting family, “Uncle Frank you don’t feel good – what’s wrong.” Uncle Frank turns gray because he hasn’t said anything about his medical condition! In this, your little Piscean is a true seer, but if she fears her gift it may be lost never to return. Being a water spirit, Pisces cry – and they cry with their whole body. There will be times when you wonder if there is a whole ocean in their pillow. This is far more likely than temper tantrums for her, and dad in particular finds it nearly unbearable. There is a time to stay firm, a time to commiserate and a time to give in. You don’t always have to be structured with the Pisces child and still get positive results. In fact, making new and unique routines really feed the Piscean mind and spirit. They’re not big on dull, boring “rituals” and when forced into them, they will find a means of changing everything to their liking. Ultimately the lesson from your daughter is that spontaneity is GOOD. At home or among friends at least not everything has to have a pat time and place. School is another matter. You may find that particularly during teen age years your daughter’s way of learning isn’t exactly rote. Even without that, She’ll take to highly philosophical or theoretical subject matter like a fish… well, to water! What she cannot abide is nasty or pretentious peers, which may lead to some social isolation. It is easier to read a book than fight with a foolish foe. Alternatively She may seek out adult companions (even, egad, Mom and Dad) for that social outlet. Your Pisces boy has come into this world with a never ending supply of idealism and curiosity! As soon as he can start experiencing the world through his senses your child will be very “hands on” (he will give whole new meaning to child proofing). He will also have 101 questions to the point of exasperation for the adult who doesn’t necessarily see the world through Piscean eyes (and ears, and nose… did we mention these children relate to the world strongly through their senses?). Your boy will love nature and be moved by the tiniest of harm that comes to stray bird or cat or whatever. Unlike some boys, the Pisces man-child DOES indeed cry when he comes face to face to a perceived maltreatment or injustice. Don’t squelch that. He needs a release from the emotions that fill his body. Like too much water going into a cup, the feelings have to come out somewhere. Without this, a Piscean can become very remote and gloomy, or worse end up eventually exploding then struggling with guilt for months afterward. Like a Piscean daughter, young men will dream dreams and have rich imaginations. The stories of knights and dragons, spaceships and aliens – these are the bedtime stories they’ll request again and again (or DVDs during the day). Oh, and just go ahead and buy a book light right now. You’ll find piles of stories under his bed complete with a flashlight anyway. Tween and Teen Piscean boys rarely become bullies. If anything they turn into school yard diplomats. They don’t like being in charge, but dislike conflict even more. If that plan doesn’t work out, they seek the company or advice of trusted adults or make a well-considered retreat. These children are older than their years betray. Speaking of retreats, your son may not always communicate his frustrations verbally. A nasty verbal encounter at day care or study hall could turn into resistance to return to that setting. This is one of the harder issues for the parents of the Piscean – at some point or another you have to let him see the REAL world, not just the perfect world that his soul craves. Just keep the quantity of exposure tempered with your awareness of his sensitivities. The hour long video game may sooth his heart and mind – 5 hours, on the other hand is not a healthy way of dealing with life’s issues. As a family one of the best activities for you and your son is travel. While Disney may sound like the easy choice, it’s also a GREAT choice. There is an adventure sure to engage the Piscean mind and give them weeks of pleasant dreams. The caution for the family of the Piscean boy (and some girls) is that they will be attracted to other forms of escapism the older they get. Be watchful for drugs and alcohol and provide plenty of alternative activities to keep him rolling in a positive direction. WOW! This describes my 9 year old daughter perfectly! She’s a total beauty glitter gal and tom boy all rolled into one! She dreams of being a veterinarian. When she cries the earth shakes! Such a sensitive empathetic soul she is. Both Pisces. Both born on March 7. Twin Souls & Soulmates for certain! Wow. What an amazing bond you must have with your Fairy Princess Pisces! In the coming years, expect lots and lots and lots and lots – and did I say, “LOTS” – of emotional times! Some up, some down but all acutely felt because Pisces is the most emotional sign of the zodiac. What beautiful, magical laughter you will share! Happily, I look forward to our future relationship and truly knowing what makes my daughter tick. She’s me and I’m her, how could I not?! Twin souls and soulmates, it can’t get any better than that for a parent child bond! P.S. I wrote to you about my Scorpio son, how cool is it to know that my son and daughter will also share the soulmate best friends compatibility- Good thing we’re all 3 water signs and can sympathize and empathize with each other through all the emotional ups and downs!! May our pond always be a place to rest, relax, and let feelings go-, knowing we’re all here to support each other! Hi! Very helpful info. I’m a new (Scorpio) mom to a Pisces boy of 8 months and he is an absolute cherub. I wondered how the two of us factor together? Hello, I loved this article!!! So very helpful to know what’s to come. I juts had my first baby and she is a Pisces. Love what I’m reading and totally excited for what’s to come. I am a Sagittarius anyou helpful tips on how to help us have the best relationship possible. I didn’t have such thevents vest relationship with my mom and am doing everything I can to change that for my Lil girl. Congratulations on your new Pisces baby! OK, so a Sagittarius mom and Pisces child will dream big dreams together. What you might have to watch out for is Pisces kids can be a bit needy and that might get on your last nerve at some point. Just take a deep breath and go back to dreaming together! I’m a Capricorn mom to an eight month old Pisces.Everyday is an adventure.He does make his own decisions as far as eating and sleeping,but if he goes long periods with out either that’s when I consider him a little monster..I can feel he’s very sensitive and even though I’m his mom his moods frequently change…with that being said one minute I think I understand him the next I don’t..he’s very affectionate..and he does have an old soul..The doctor says his behaviors aren’t similar to a typical eight month old..:):)..I have to challenge him,he gets bored quickly..Them on the flip side he can be whinny and cry constantly..when j try to console him he laughs..Many people are drawn to him and he’s very observant.So everyone doesn’t get a response..
LOL Welcome to having a Pisces child! They swim whichever way the energy stream carries them! One minute they are laughing and on top of the world and the next they are in a pit of despair. To a Capricorn, this can be so confusing and frustrating. Just remember, when he gets older, he’s not being flighty – he’s being a Pisces! I am an Aries woman married to an Aquarius man we are going to have a little Pisces boy join us, any advice for us young soon to be parents? And really just wondering how our signs will affect our lives intertwined together, especially since both my husband and I have different ideas on parenting! Hello! I am a gemini mom and my husband is a Cancer. Our son is March 18 and all that you say is spot on, he can be very emotional and feelings easily hurt especially with his father. He is very imaginative ans always tells us he doesnt want us to get old and he doesnt want to grow up. Lollll. My question is, with learning, what are the best ways to reach him, if he’s not interested he doesnt really want to do it, and he loves school just has a hard time focusing and finishing work on his own. He was a premie born at 24 weeks as a twin, but brother didnt survive. I sometimes think that may be the problem but he’s very smart and after being tested they cant figure out what may be causing his delay. Sorry if im ranting. Lol just wondering if there is a connection! First, please accept my condolences for your family’s loss. With you being a Gemini (the Twins) and your son being an actual twin as well as being another ‘dual sign’ (Pisces, the Fish) – that’s a LOT of doubles and twin energy going on in your family. So, perhaps looking into twin symbolism could be helpful. Of all the zodiac signs, Pisces are the most sensitive. Now, I’ve read many studies on twins because of the psychic connection they have (I’m a professional psychic medium). Overwhelmingly, when one twin transitions to the other side it can leave the surviving twin feeling lost – as if a part of them passed on as well. Then, take into consideration that your twins are Pisces (a twin/dual sign) and that sense could be exacerbated (because they are so psychically sensitive). I definitely think your twin sign Pisces is feeling the loss of his twin. Maybe he could see a counselor that is experienced with twin loss? I do understand the twins were babies when the loss occurred but energetic connections are energetic connections. Hope that makes sense. As for school – Pisces children are notorious for lack of focus. They can’t help it. It’s the water element in their zodiac sign. They just want to ebb and flow like water does and go with the flow like fish do. Pisces children do NOT like to feel trapped. So, making them sit for hours at a time and focus on subjects they don’t resonate with is absolute torture and can easily depress them. Pisces like to learn in short spurts – even if they LOVE the subject matter. Finally, when your Pisces child tells you he doesn’t want to grow old he’s not kidding. The water signs (Pisces, Scorpio, Cancer) all come into this world with a ‘knowing’ about life and death. He already has a sense of what it means to be mortal. He might not be able to articulate his deep fears on this subject but they’re there. You can help him by introducing him to the teachings of many different cultures as regards death and what happens when we get to the other side. Congratulations! Ooooo a mommy and daughter Pisces! Talk about true soulmates! Wow! Well, the first thing I can tell you is that Virgo hubby could experience some jealousy because the bond between parent/child water signs is epic! This is for sure true when both parent and child are water signs but ESPECIALLY when they are the same water sign! Now, Virgos have confidence issues anyway. And, because it is likely that you and your daughter will develop your own ‘world’ it could seem like you goddesses have a private club. So, just be on the lookout for this. It can help if you actively and consciously look for ways your Virgo hubby can be part of the special world you and your daughter create. PS – My mom was a Scorpio. I’m a Scorpio. We had a bond that was the kind they write about in books and you see in movies. You’re in for such an amazingly beautiful treat! It’s funny you say that because despite the fact that she’s only 9 months old, I feel incredibly close with her. We have a very strong bond, but I always just chalked that up to a normal mommy-daughter thing. My husband loves her so much and Emi adores her daddy but she’s definitely a mamas girl. I absolute love that we’re already so close because my mother (Virgo) and I have always clashed; we have an awful, somewhat nonexistent relationship. Because of this, having a strong, healthy relationship with my daughter is soooo important to me. Thank you for all of your help. ? Apologies for the tardy reply. Was on vacation. 🙂 You are most welcome! So happy to help! Thank you for taking the time to comment on and thank you for visiting BuildingBeautifulSouls.com! Wow. I must say that this does sound a lot like me when I was growing up. Always in fairy land, creating new worlds and new friends to play with. I’m secondary school I did struggle to form groups of friends, instead focusing on a small group of like minded people. I mostly enjoyed spending time with my parents though, and can honestly say that my best friend of all was my dad (a Leo). We used to sit in near silence just enjoying one another’s company. In his last days he couldn’t speak, but we communicated with looks and I could feel his pain and sorrow at not being able to go home from the hospital to spend his last days with everyone around him. I often find that I cannot spend too much time around people who are sad or angry as I take on all the feelings myself and let them build inside me. My daughter (4 months) was born on the 22 August. Does this make her a Virgo? Will we match well with our signs do you think? Please accept my condolences on your family’s loss. Your daughter is born on the cusp of Leo and Virgo. To get an accurate understanding of how your personalities will match, I would recommend getting a reading from a learned and experienced astrologer. My personal astrologer is Sara Gilbert. 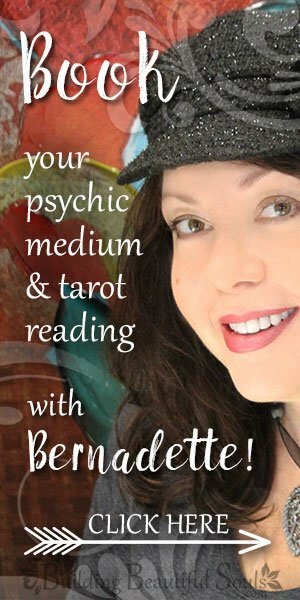 She writes the month horoscope column here at BuildingBeautifulSouls.com. She’s Australian and amazing! You can visit her site at LifeSpiritConnections.com. OMG you are spot on when it comes to my son, thats exactly what it is, he works in short spurts. No one can seen to understand, he teacher wants to have him tested to see if he has any delays. I tell them all the time if he’a not interested he doesnt really care. Lol but from home I can sot him down and break down an assignment or read wth him and he gives me 10%. Anddd my mom is and aquarius she always tells me my son misses his twin brother, thats so crazy to me. I didnt think he would feel that loss, but its true and I feel sometimes he feels loney. Its so true me and Dad are his bestfriends, hes our little third wheel. Lol always with us, never wants yo leave????. My little pisces! If I’m reading correctly, your Pisces son had a twin who transitioned to the other side? Please accept my condolences. Your mom is absolutely correct. When a twin zodiac sign loses a twin in real life, they always feel as though part of them is missing. Sounds like you’re doing great as a Pisces mom! Understanding that Pisces children can only focus for short ‘waves’ at a time is crucial to their success! Kudos to you! Scorpio mother to a 4 year old Pisces boy and expecting a Capricorn boy next Friday Jan 6. Dad is a Pisces. Wondering about our dynamic as a family and their bond as brothers! Did your Capricorn baby come into the world yet? If he did, I’m sure he started bossing everyone around within minutes! LOL As a Scorpio mom, it will be important for you to try and help your Capricorn understand all the water sign personalities around him. Capricorn’s are notorious for being a bit ‘a-emotional’ and he’s now flanked on all side by the two most emotional signs of the zodiac – Pisces and Scorpio! Just know he might feel a bit like a ‘fish out of water’ – ironically. And, conversely, the rest of the family just has to know that the ‘Capricorn’ really does love them – he’s just not demonstrative like you all are. Hi there. I have the most magical baby boy who is a Pisces. I’m a Taurus and his mother Sagittarius. I know not the most compatible two. Hence were unfortunately not together.. everything I have read so far in regards to Pisces rings true and makes sense. Any further advice you could give me as a stubborn Taurus. You two will love all the beautiful and delicious things life has to offer! Great food, entertainment, plus colors, sounds, and smells, oh my! And the love of music you’ll share will likely leave you wondering if you’re both a famous musician reincarnated! Just remember Taurus daddy, Pisces (like all water signs) can be very secretive. Coax her out gently instead of charging at her and she will be open with you. Trust is a big deal to both these Zodiac Signs so do your very best to help it grow and be healthy. Hi! I am the Sagittarius mom (Nov 25) of a Pisces little girl (March 9th) and I am just wondering what I can be aware of – good and bad – that comes along with my sign to be the best mom to my little Pisces. She is 2 years old and really coming into her personality but also testing us and testing all her boundaries ;). I want to make sure I am finding the best approach to discipline her and teach her right and wrong. Thanks you so much. Your article has been so ensigntful! Sagittarius and Pisces – 2 dreamers in a pod! How wonderful! Where you’ll be challenged with your Pisces baby is all the whining a Pisces can do. LOL Sagittarius ain’t got time ‘fer dat’! Just remember that Sagittarius can sometimes get impatient and bleat out hurtful things. 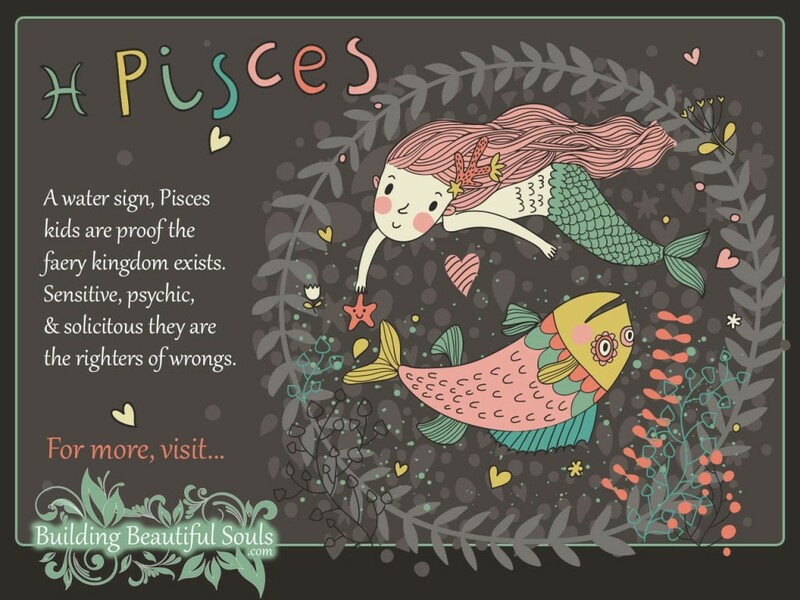 So, when your little one gets under your skin, take a step back and take time to remember just how sensitive Pisces souls are. Your knowledge has been so helpful. I’m a ccancer mom but born on the cusp (june 22). I too can be emotional and am not always aware of my girl pieces who’s 4 and also emotional. Any tips would help. Libra mother bursting with excitement over this sign. I’m expecting boy/girl twin pisces this week and welcome their emotional creative ways. Their father is a Gemini and brother is an Aquarius. We are in the midst of having a full spectrum of astrology signs in our house lol I would love your insight on creating a happy and healthy relationship between us all. There is definitely a bond between my husband and son already, they really come together over information and facts. Hi, this is very interesting read. I’m expecting my 4th child, a boy. He will either be a Picies or an Aries as I’m due 4/4. Being a parent to an Aries actually scares me but I’m not sure how our house hold would cope with an more sensitivity and dreaming as I am a cancer and hubby is an Aquarius with a cancer boy, Taurus girl and Capricorn boy already! Can’t wait to see what sign this boy will be born into and how he will influence the home. Hi Gemini mom to two Pisces, a boy 1 and a girl 2 and their birthdays are 2 days apart. Any tips on getting them to reel in the emotion just a tad lol. My boy rages then cries and my girl bursts into tears at the drop of a hat. I am a Leo mum to a 3 yr old Pisces girl! Reading this article I can understand the constant tears from my girl, I don’t deal well with the crying and she has cried more so many tears in such a short lifetime, I still don’t know how to recognise what each cry means.. Sometimes I feel like a bad parent, like I’m doing something wrong because she is always trying to push my buttons, I’m not aloud to accept help from anyone because she tells people off about it and says mummy do.. I give into her because I don’t want to yell or listen to her cry. I’m a single parent, her father (also a Leo) passed away last year however he wasn’t apart of her life before that, he only knew when I spoke about her to him. Always positive, when she’s happy she’s amazing, she’s right into music and art! She’s so clever she comes out with some really smart things for a girl her age! I guess this message to you is for any advice on how to discipline a Pisces child as she can be agressive and hit myself or others when she’s being selfish wanting everything her way all the time.. I need to learn how to deal with her crying, it brings so much sadness to me I feel like I’m going to fall into a heap.. I love my girl so much but being so different it hurts me reading that most mums can relate to there children while I want to but don’t understand her motives.. I just came across your site! I just had my first child, a Pisces boy on March 16th. I’m a Gemini (really I was born on the cusp of Taurus and Gemini, May 21st). I’m just curious as to how this will affect my parenting so I can nurture him the best way possible. Wow! I love this site. I’m happy to have found it. I’m on the cusp of Virgo/Libra. My husband is Scorpio. Our son is Taurus and our lil one is Pisces. She is very much in her shell, loves fashion it’s so adorable. Her brother on the other hand was never shy, he was a very stubborn child but is more calm now. Taurus and Scorpio dad tends to clash a lot. Scorpio also seems to lack the patience with Pisces emotional sensitivity but he’s very close to both our kids. Any advice/tips for me on our family astrological dynamics? How can I be the best mom to my Taurus son and pisces daughter. I’m right on the cusp of Virgo/libra ( sept 23) but I feel like I’m more libra with very few Virgo traits. I am a Pisces mom who just gave birth 4 months ago to a Pisces son. I have a Taurus son and a Cancer son and I’m figuring out how we mesh. I’m a little nervous about having a little me (another Pisces) in the house. How will we mesh? My husband is an Aquarius, how will he mesh with our youngest son?